Showtimes: 1:30 PM and 4:00 PM. 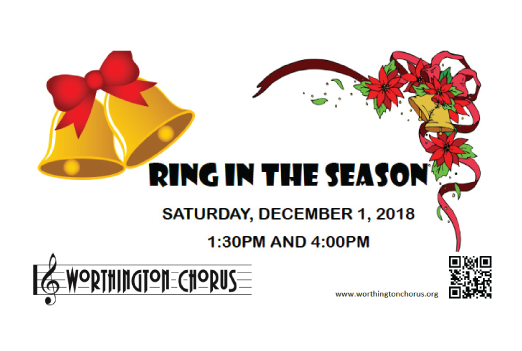 Start off your holidays by joining the Worthington Chorus as we “Ring in the Season“ on Saturday, December 1, 2018. With a mixture of religious and secular music, and a little bit of fun, we promise a good start to your holiday season. Tickets: $10 ages 13 + up, FREE ages 12+ under with paying adult.